aggressively descended on a young man who was suspected to have stolen an iPhone X. 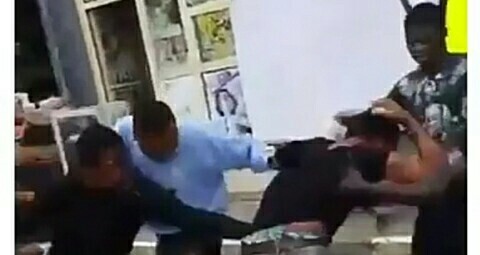 A clip making the rounds on social media, shows the moment the suspect was beaten thoroughly by some irate youths in the area. The identity of the thief, or whether he was later handed over to security operatives, were not ascertained as at the time of this report.